Click the image below to view Pleasure Island in 360! Separated from the mainland by the Intracoastal Waterway (Snow's Cut), this charming community is reminiscent of a 1950s-style beach town with modest cottages holding their own next to increasingly more upscale single-family dwellings and three- and four-story condominiums. The beachfront motels, including several vintage motor courts, add to the nostalgic appeal. In fact, Carolina Beach boasts one of the last remaining beach boardwalks on the East Coast. The boardwalk was revitalized in 2009 to include a new family amusement park that features a Ferris wheel with beach views, classic family-friendly rides, and miniature golf. You’ll also find an arcade, souvenir and novelty shops, fudge and ice-cream stores, restaurants and nightspots. But the most famous landmark on the boardwalk is Britt’s Donuts, a beloved 70-year-old institution that has won the hearts and taste buds of countless locals and visitors for decades. MSN.com featured Britt’s Donuts in an article that identified the best independent, small-town doughnut shops in the nation. With just over 6,000 full-time residents, the town center of Carolina Beach is a streetscape of small shops and restaurants. Carolina Beach also has grocery stores, drugstores, beach shops, boutiques, churches, restaurants, hardware stores, an ABC (liquor) store and even bait shops. Of course, the real draw in this quaint, yet thriving beach town is its miles of wide, pristine, beautiful beaches and natural sand dunes. 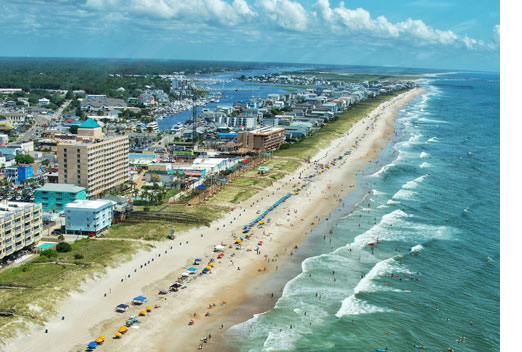 Carolina Beach is truly a slice of Americana in the form of a seaside town. The atmosphere in Carolina Beach is unhurried; the temperatures are moderate; and the range of leisure activities is as plentiful as the island’s 212+ days of sunshine per year. Because Carolina Beach is a small island nestled between the Atlantic Ocean and the Intracoastal Waterway, one is never far from the water. Naturally, ocean and beach-based activities abound. If you like to stroll along the shore, swim, bike, or jog, you’ll feel right at home in Carolina Beach. The farther south you go, the more fascinating the scenery becomes. In Fort Fisher, beautiful live oak trees have been sculpted over the centuries by the sea breezes. Step back in time at the Fort Fisher Civil War battlefield and museum or learn about the area’s sea creatures at the NC Aquarium’s state-of-the-art ocean and Cape Fear River habitats. At the Carolina Beach State Park, you can wind your way through nature trails in search of the rare indigenous Venus flytrap or set-up camp on the beach next to the maritime forest. At the southernmost tip of the island, the Cape Fear River converges with the Atlantic Ocean near Bald Head Island. Explore the waterways by ferry (from Fort Fisher to Southport) or launch your own boat from a public launch. Fishing is also a popular pastime. Fish on the beach, from the pier, from a boat, or grab a drink at a local watering hole where you can watch fisherman return from a day at sea to unload the day’s catch at the Municipal Docks. Thanks to an abundance of King Mackerel, Carolina Beach hosts several annual fishing tournaments with nominal entry fees and opportunities to win as much as $50,000 for the biggest fish. In the summer, when the population of Carolina Beach swells to three-to-five times its size with visitors, the focus is on music, movies, and amusements. Local restaurants offer live music, DJ's and karaoke; there’s music at the town Gazebo every weekend; and Carolina Beach hosts a number of events including the Beach Music Festival, and a Seafood, Blues, and Jazz Festival. 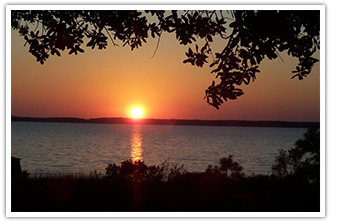 Carolina Beach also offers a free fireworks display on the beach on Thursday evenings and free outdoor showings of family films on Sunday evenings at Lake Park, a park in the center of town with a walking trail and paddleboats. In addition to amusements like waterslides, bumper cars and batting cages on the Boardwalk, establishments offer boat, kayak, surfboard, and bicycle rentals right in the town center. Spend the evenings dining in restaurants that range from family-style seafood houses to upscale establishments. Or, board a large party boat and tour the Cape Fear River, while dancing under the stars. The holiday season brings the Island of Lights Festival, which includes a Christmas parade, flotilla, tour of homes, the “lighting of the boardwalk” and a New Year's Eve countdown party. Although Carolina Beach has been a community since 1857, in recent years it has experienced substantial residential growth as an affordable place to live by or near the ocean. Since 2000, Carolina Beach has seen a population growth of 29.82 percent, bringing the population to 6,108 people in 2010. Currently, the island is experiencing considerable commercial growth and revitalization. A recently constructed shopping center is anchored by a major grocery store, and two major chain hotels have recently opened, increasing the number of visitors to downtown Carolina Beach and the Boardwalk. Property taxes in Carolina Beach reflect the community's investment in its schools and infrastructure, with about 15.8 students per teacher in Carolina Beach. Home appreciation in the last year was 16.63 percent. The Island Gazette is the official newspaper for Carolina Beach and the surrounding towns on the island. There are two big reasons that Carolina Beach holds great appeal as a retirement town for both locals from Wilmington and newcomers from other areas: it isn't crowded yet and it's affordable. Factor in the quiet small-town charm and pleasant temperatures year-round, and Carolina Beach becomes an ideal choice to spend the best years of one’s life. In fact, many new residents say that the best part of retirement in Carolina Beach has been retiring their snow shovels for good! Moderated by the warm breezes of the Gulf Stream (just forty miles away), the town enjoys average temperatures ranging from a low of 45 degrees in January to a high of 80 degrees in July. Just over the bridge from Carolina Beach lies south of the city of Wilmington, offering all of the conveniences and amenities of a large city. The Wilmington International Airport is 16 miles away with connecting flights to anywhere in the country through Charlotte and Atlanta as well as direct flights to Philadelphia and New York. The state-of-the-art New Hanover County Regional Medical Center is approximately 12 miles away. Whether you’re attracted by moderate temperatures, bountiful sunshine, or a family-friendly beach community–once you experience the sights and sounds that have enchanted residents for more than a century, you’ll agree that Carolina Beach is the perfect place to spend the rest of your life. Although the town of Carolina Beach has a strong inventory of seasonal housing options for vacation and part-time use, approximately 68% of the housing in Carolina Beach is owner-occupied. With everything from luxury homes to multi-story condominium buildings to small cottage residences, Carolina Beach offers home ownership opportunities for every budget. Furthermore, with home appreciation rates recording at 16.63 percent, buying real estate in Carolina Beach has proven to be a strong investment. A friendly, family-oriented community, Carolina Beach has clean, wide beaches, an abundance of leisure opportunities and a growing sense of community pride that makes living here a charming prospect. Whether you choose a traditional waterfront neighborhood or a newer residential development, whether you prefer a classic Southern architecture or pastel beach homes with a coastal feel, you’re guaranteed to find relaxed ambiance and quiet charm in Carolina Beach. 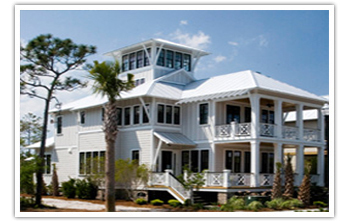 If you would like to own a property in this Southern Coastal hideaway, please Contact Us today. Ready to Search for Carolina beach Homes for Sale?